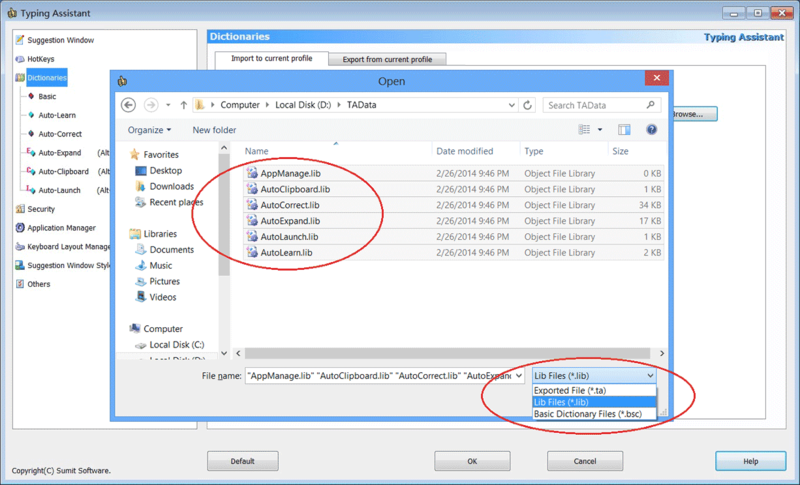 Step1: Run Typing Assistant old version and export all profile data to a single file(*.ta) from Data Import/Export. If you use several profiles, you should export them separately. Step2: Uninstall Typing Assistant old version and install Typing Assistant new version. Step3: Run Typing Assistant new version and import the profile data(*.ta). 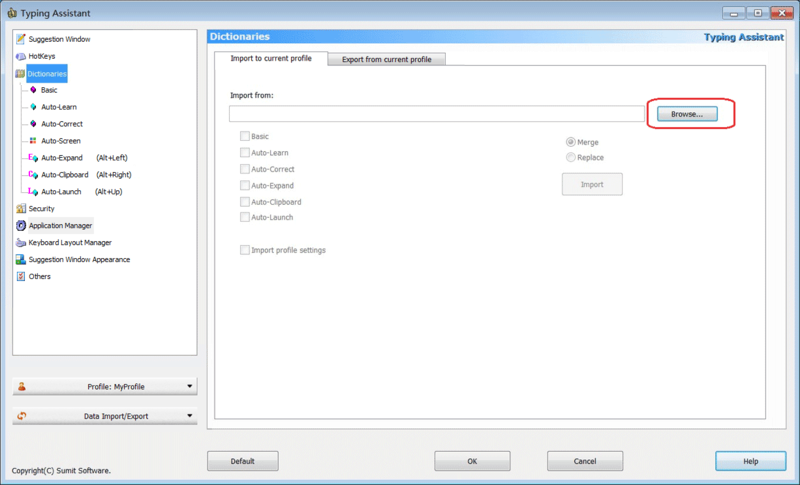 If you need to import several profiles, you should switch the profile and import separately. Step2: Install Typing Assistant new version, then import the dictionary files(*.lib) from "Custom Settings --> Data Import/Export --> Import to current profile". If you use several profiles, you should export or import them separately.